Cava is a Spanish drink a sparkling wine much like the Champagne. It Spain’s answer to France and the Penedes Region of Spain close to the Barcelona city is home to amazing vineyards that truly intoxicate you with its culture, beautiful landscapes, vineyards, caves, food, people and of course the Cava. The Pendes wine region is famous for its conducted wine tours across the vineyard where one can drink-in not just the Cava but its entire process of its manufacture, storage and truly enjoy the bubbly. A Cava tour of Spain can be the one of the best ways to say “Cheers’ to a wonderful trip. Let this be the best fun and informative tour where one can get to taste the Cava. The prices are fairly decent. Many vineyards have conducted tours like the Jean Leon Vineyards, Torres Winery, Freixenet Vineyard and many more such. The best few would be Codorniu, Pares Balta, Recaredo Cavas, Freixenet, Art Cava, and Gramona. The Codorniu dates back to 1551. It is one of the best places to understand the entire process from grape pressing to marking of bottles. You can go the vast underground cellars in an electric train where the wine ferments for a minimum of nine months and kept at a constant temperature of the underground cellars. These cellars were dug by the families years ago. The place has the stamp of history and seems soaked in traditions. It is known to be the Wine Cathedral of Catalonia. The beautiful arched domes are sure to transport one to another era altogether. The tour winds up with the amazing wine tasting, and there are quite a few options that can be combined with it like breakfast, chocolates, cheese, etc. Thinking of making your own self-styled Cava? Then head to Art Cava. It is not just wine-tasting, but also wine-making that is a complete hands-on experience. So one not only tastes, but sees, smells, hears it bubbling and also feels it. A truly spiritual experience this can be. At Freixenet, you learn so much. An audio-visual educates you on the finer parts of wine-making storage and the creation of Cava. This is a perfect place that knows how to blend traditions with the modern-day technology to make the perfect wine. A toy-train will take you to their cellars and finally let you taste the Cava. Those who would like to acquire an in-depth knowledge, this is an ideal place. At Gramona, you can have the best Cava and knowledge. Well recognized and suitably awarded. 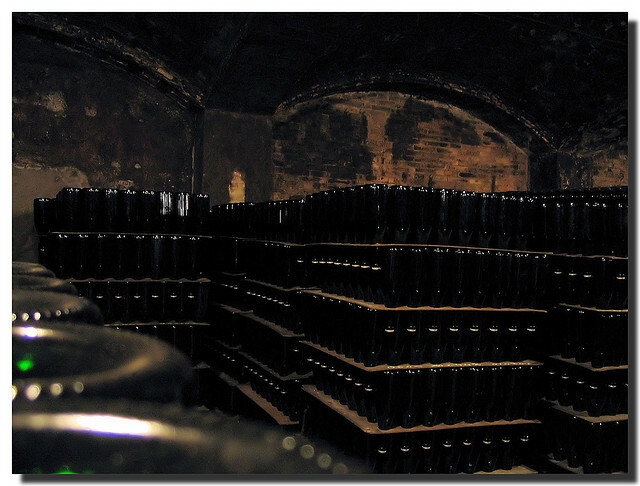 The Cava borrows its taste from the soil of the place. The beautiful vineyards and its landscaped beauty will consume you too. The Recaredo Cava makes hand-pressed Cavas. The tour-guide enjoys his job and explains the Cava-making process in-depth. The process makes no use at all of any machines chemicals, and or any fertilizers either. The Cava-tour at Recaredo Cava ends with the wine-tasting that is done in their most exquisite tasting-rooms. The Pares Balta may be a little less well-known, but their Cava backs to the eighteenth century and some of the grapes come from the mountains. The mix of different grapes produces a different Cava.